I don’t really like cake. I’m more of a dense and fudgy brownie or cookie type of person. However, I’ll make one exception: sheet cakes. Sheet cakes are by no means considered a sophisticated dessert. There are no fancy layers, no time-consuming ganache, no ombré colors. But they are unbelievably easy to prepare, and they bake fairly quickly. Plus, they’re so delicious that not even a true foodie can say no to a second slice. I think it must be the ratio of cake to frosting. 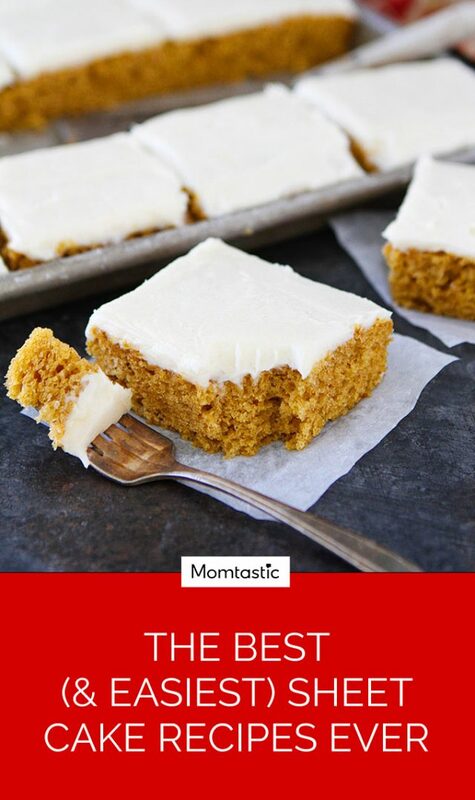 A thin piece of moist cake with a good portion of frosting gets a thumbs up from me. Looking for a dessert that requires little decorating skills and feeds a crowd? From Texas sheet cakes to chocolate sheet cakes, I’ve rounded up the best sheet cake recipes that you’ll turn to again and again.